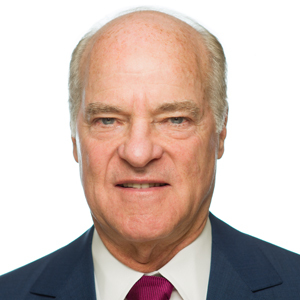 Henry Kravis (New York) co-founded KKR in 1976 and is Co-Chairman and Co-Chief Executive Officer. He is actively involved in managing the Firm and serves on each of the regional Private Equity Investment Committees. Mr. Kravis currently serves on the boards of First Data Corporation and ICONIQ Capital, LLC. He also serves as a director, chairman emeritus, or trustee of several other cultural, professional, and educational institutions, including the Business Council, Claremont McKenna College, Columbia Business School (co-chairman), Mount Sinai Hospital, the Partnership for New York City (former chairman), the Partnership Fund for New York City (founder), Rockefeller University (vice chairman), Sponsors for Educational Opportunity (chairman), and the Tsinghua School of Economics and Management in China. He earned a B.A. from Claremont McKenna College in 1967 and an M.B.A. from Columbia Business School in 1969. Mr. Kravis has more than four decades of experience financing, analyzing, and investing in public and private companies, as well as serving on the boards of a number of KKR portfolio companies.